From the library of the Baron; which smells, oddly, of baseball glove oil. My Mischief Makers have been toying and teasing you with mentions of Big Revelations coming soon. I asked them not to, but they tend to do whatever brings a smile to their faces. Please don’t blame me for any inner turmoil that they may have caused you. However, I do say, the news I am here to announce is, in a word, PHENOMENAL. Due to the continued support of you, my dear Bruegalonians, we need to expand our operations. 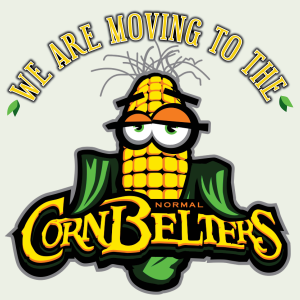 I am here to publicly proclaim that the Bloomington-Normal Jaycees are going to be moving Bruegala to the Corn Crib in Normal! We have been working tirelessly with the Illinois Corn Farmers and the Corn Belters to analyze multiple layouts of their facilities (the possibilities make me giddy); to take thermal imagery of their ice machines (a chilly sub-0 degrees Celsius); and my minions have gone so far as to test their field soil (its still Astroturf). We look forward to a great relationship with the Corncrib and this exciting new venue! Bruegala will be held on August 28-29th. In the coming days, we will be releasing more information, including band line-ups, food vendors, special events, and so much more! Make sure to check our media outlets for more information! Bruegala is a charity beer and wine festival run by the Bloomington-Normal Jaycees. The 16th annual Bruegala will be held on Friday, August 28 and Saturday, August 29 at the Corn Crib. The event currently offers over 300 beers, 50 wines, multiple food vendors, and music throughout the two-day event. In the past 4 years, more than 16,000 people have attended Bruegala and the event has raised over $160,000 for local charities. This money directly impacts the citizens of Bloomington-Normal and McLean County.